Drools absolute calcium syrup give your pet the power of calcium. It makes your pet healthy & strong. It helps in optimum growth of pet. You can also give calcium tablets with it which make their bones strong & teeth stronger. 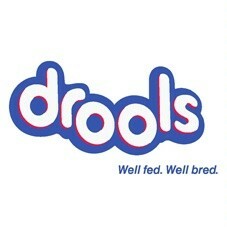 Drools Absolute Calcium Dog Supplement Syrup is apt for dogs of all breeds. It is an optimum Calcium and Phosphorus ratio that helps in maintaining a healthy skeletal system of dogs. It also helps in supporting the healthy joints in them. This Calcium and Phosphorus formula also helps in making teeth stronger. This Dog Supplement helps in eradicating the Calcium and Phosphorus deficiency in Dogs. • Optimum Calcium-Phosphorous Ratio- Drools Absolute Calcium Dog Supplement Syrup is an optimum calcium-phosphorus ratio that helps in eradicating this deficiency. • Supports Healthy Joints-This Dog Supplement contains an apt amount of calcium that helps in supporting healthy joints. • Stronger Teeth-This Calcium-Phosphorous formula helps in maintaining dental health and promotes stronger teeth. • Healthy Skeletal System-This Dog Supplement helps in maintain the healthy skeletal system of dogs of all breeds. Dosage: 1 teaspoon per 10kg body weight or as recommended by the veterinarian. Joint supplement for younger &amp; older dogs, cats. Quantity: 150 ml.